It is no secret that the whole country is having a warmer than usual autumn. Where I live, we have not even had our first freeze yet. I'm not sure I ever remember being this far into the month of November without having experienced at least a light freeze. But I admit I am enjoying the surprising warmth....particularly since it means I can still get some of my favorite late summer produce at the farmers' market each week. Figs (!) continued to trickle into the farmers' market until the last weekend in October. And the eggplant, peppers and tomatoes still show no signs of letting up. 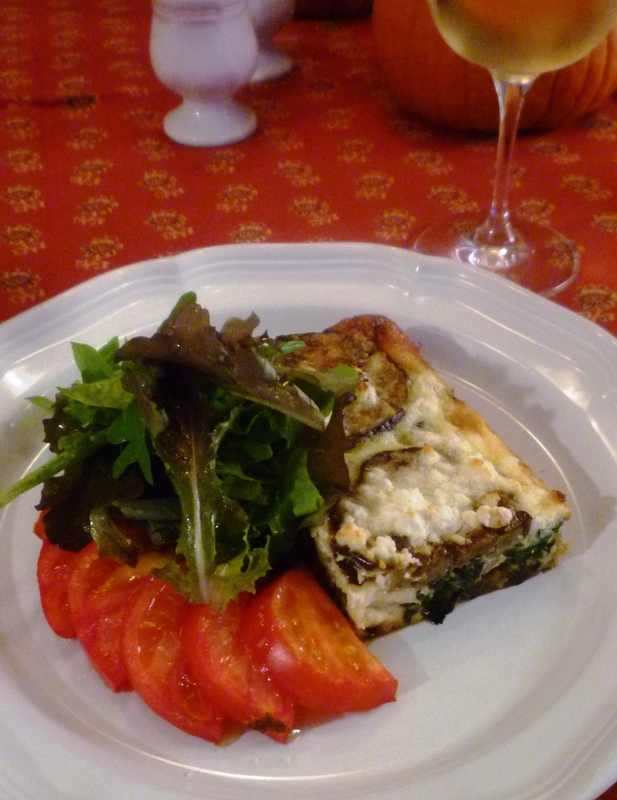 It has been a treat to continue to be able to cook into the darker days of fall with these bright flavors of summer. 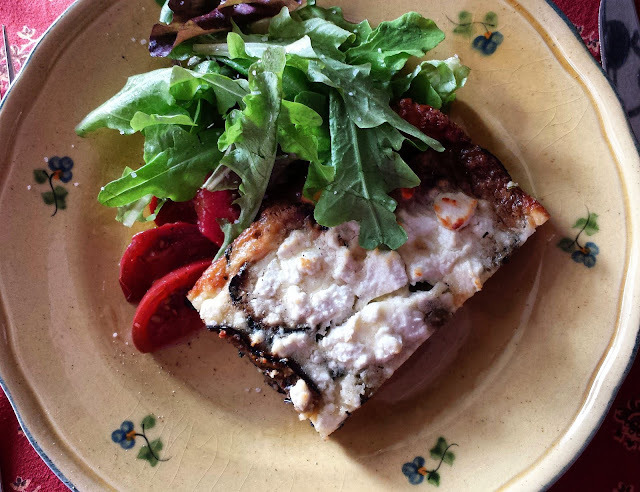 A little over a week ago while I was trying clear out my refrigerator of perishable items in preparation for a short trip out of town, I made a simple gratin with a bunch of beautiful local chard and some eggplant. I don't know if this is an unusual combination or not...but it is a good one. (Sometimes the best dinners come in the form of what my friend Molly calls "cooler cleaners"...). 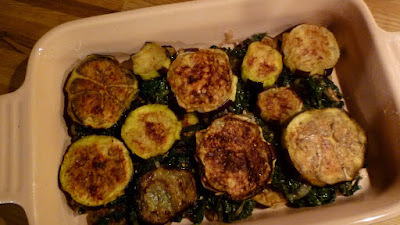 To make the gratin, I cooked the chard simply...with the addition of a few shallots and some garlic...and layered it into a baking dish with some slices of broiled eggplant. I then poured an egg-rich custard enhanced with a little Parmesan (after an all eggplant gratin in Deborah Madison's Local Flavors) over the vegetables and topped the whole thing with crumbled goat cheese. That's it. Baked until puffed and golden, it could really be thought of as a crust-less quiche. It was savory, suave, and delicious. Butter a 1 1/2 quart shallow baking dish and set aside. Trim away the top of the eggplant. If the skin is tough, remove a few lengthwise strips of the skin with a vegetable peeler—the eggplant will look striped. Cut the eggplant crosswise into 1/2-inch rounds. 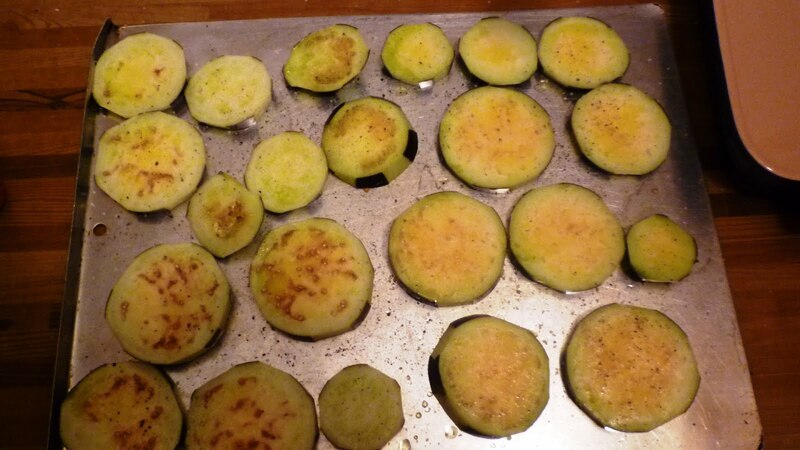 Spread the rounds on a baking sheet and brush with olive oil on both sides. Season with salt and pepper. Broil until golden brown, turning the slices over as they brown and browning the second side. When the eggplant rounds are all browned, stack them four or five rounds thick so that they will continue to cook and steam (eggplant should always be fully cooked—often the heat of the broiler will brown them before they are cooked through, simply stacking them while they are still hot is usually sufficient to finish the cooking process). Set aside. Turn off the broiler, adjust the oven rack so it is in the center of the oven and preheat the oven to 375°. While the eggplant are cooking, warm a tablespoon or so of oil in a medium sauté pan. 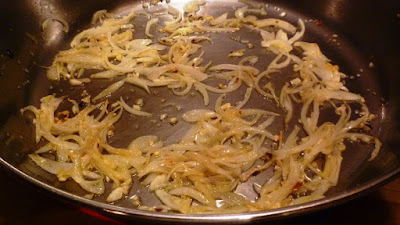 Add the shallots, garlic and pepper flakes along with a pinch of salt and cook until the shallots are tender and beginning to caramelize a bit on the edges. 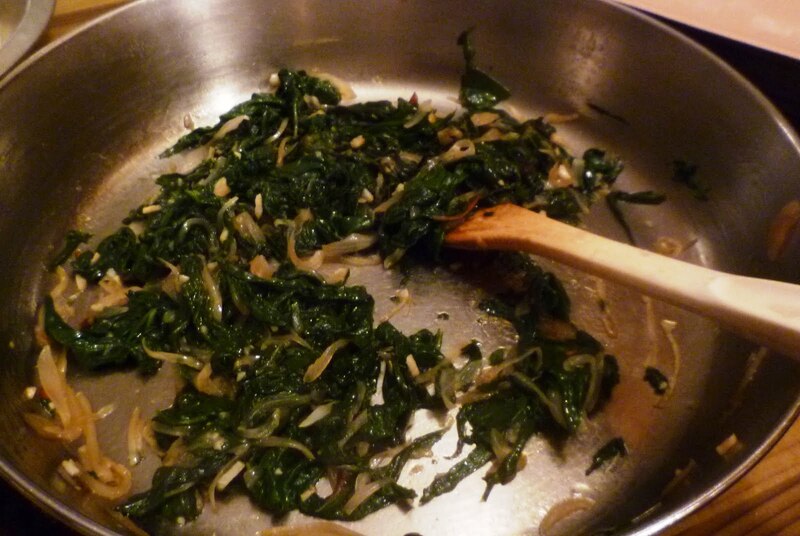 Add the chard, along with any water clinging to the leaves (which will help the leaves to steam). You will probably need to add it a handful at a time, turning each handful to coat it in the oil and shallot mixture, and waiting to add the next handful until the previous has begun to collapse. When all the chard has been added, cover the pan, reduce the heat to low and cook until the chard is very tender (about 10 minutes). Uncover and increase the heat, cooking until the excess liquid has evaporated. Season to taste. Set aside. When ready to build the gratin, place the eggs in a bowl and whisk to break up. Whisk in the cream and parmesan. Season to taste with salt & pepper. 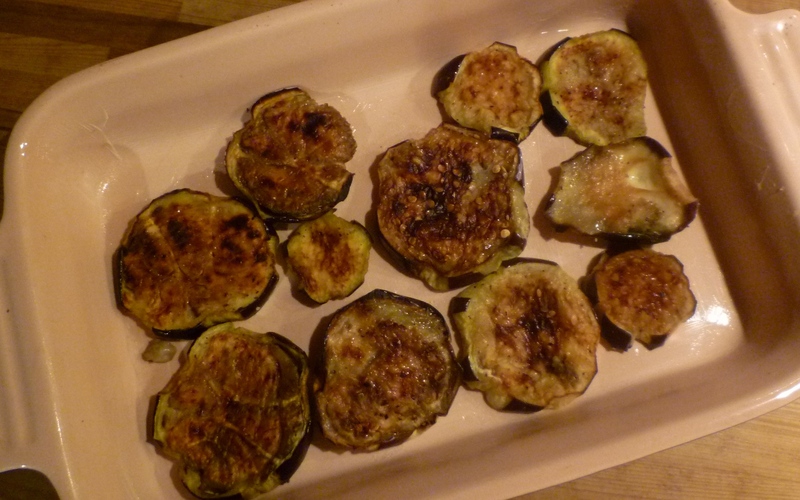 Arrange half of the eggplant in the buttered dish—you may have some overlap...this is OK. Spread the chard over the eggplant. 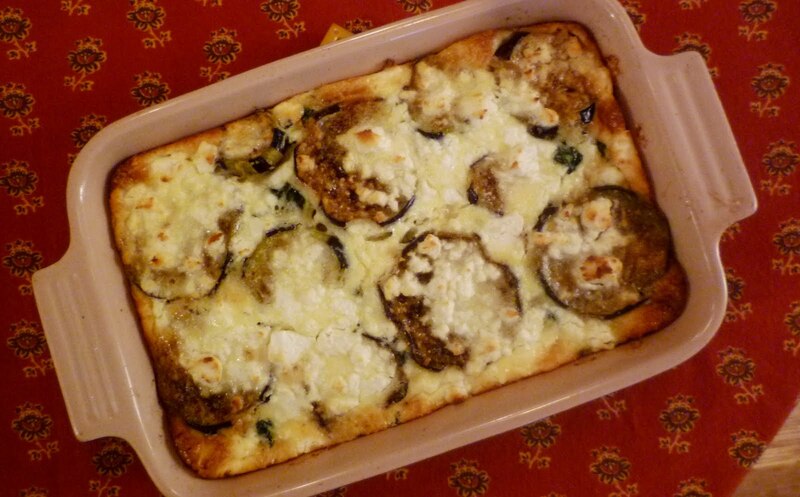 Top with a layer of the remaining eggplant. 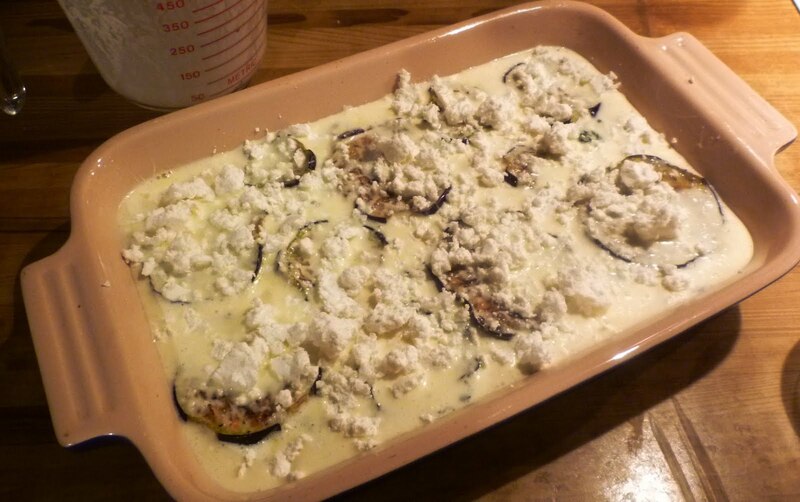 Pour the custard over all, jiggling the dish slightly so that the custard will penetrate the layers of vegetables. Crumble the goat cheese over all. Transfer the gratin to the oven and bake until puffed and golden...and the tip of a knife, when inserted into the center, comes out clean—about 30 minutes. Let the gratin sit for 10 minutes. 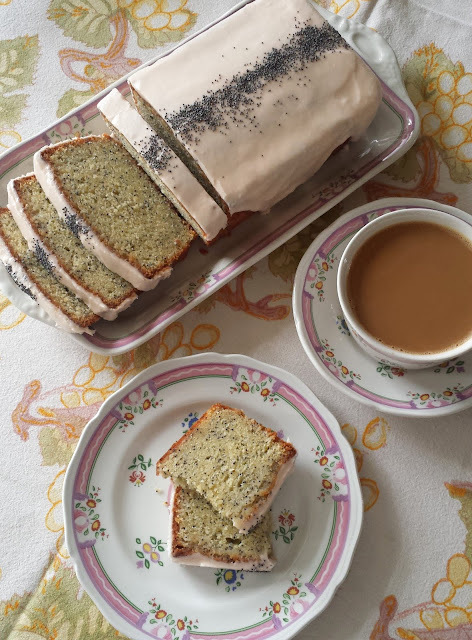 Cut into squares and serve warm. Serves 3 to 4 as an entrée ....6 as a substantial side dish.